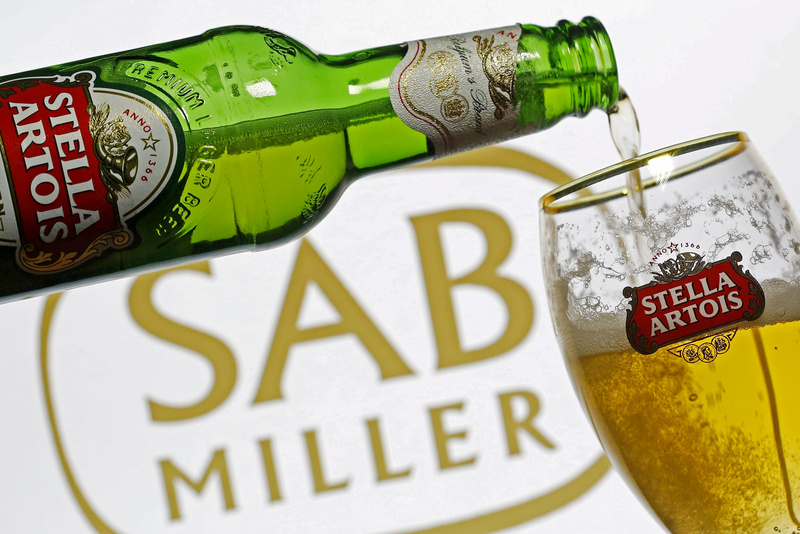 Photo illustration of beer flowing from a bottle of Stella Artois, part of the Anheuser-Busch InBev group, into a glass seen against a SABMiller logo, November 5, 2015. AB InBev on March 19 nominated Martin Barrington, the former chairman and chief executive of cigarette maker Altria, to be its new chairman. His appointment is subject to shareholders approving a change in the company’s bylaws to allow a non-independent board member to take the role. Altria owned around 10 percent of the beer giant as of March 13, and under Belgian law Barrington is not considered independent. AB InBev said it was confident that the proposed change in chairman would strengthen the representation of its minority shareholders. The change in the bylaws requires the approval of 75 percent of shareholders. Barrington will replace Olivier Goudet, who has been chairman since 2015. Alexandre Behring, managing partner of Brazilian private equity group 3G Capital, will step down as part of the reshuffle. Carlos Alberto da Veiga Sicupira, one of 3G Capital’s founders, will also step down, and be replaced by his daughter Cecilia Sicupira. The brewer proposed automobile executive Xiaozhi Liu to fill the independent director seat left by Goudet. AB InBev shares were down 0.7 percent at 73.8 euros by 0945 GMT on March 20.